The SBR 3-Point Ripper is a V frame type. The Ripper Tine have a unique Stretch Bolt Safety system and fitted with a Tungsten infused knock-on tip. The Ripper is available in 1 to 9 tooth with a working depth of 600 mm and shank spacing of 500 mm. Shanks are manufactured out of 30mm special hardened steel and is protected by a shin plate. Depth control wheels as additional option. Special shank available to fit adjustable wings for excellent aeration and loosening of compact layers. 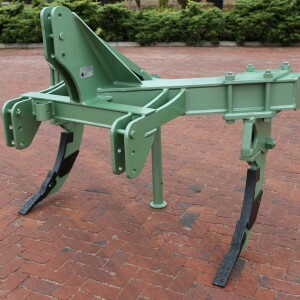 The 3-Point Heavy Duty Erdvark Hydraulic Reset Ripper can handle tuff conditions from 20kN to 40kN. The robust Erdvark shank construction and hydraulic reset plus the additional stretch bolt safety design, can handles all ruff and difficult ripping conditions. 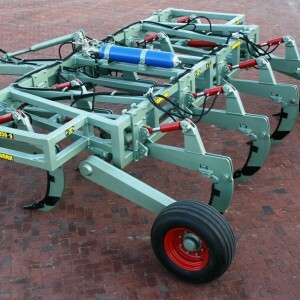 The working depth of the Erdvark HRR Hydraulic Reset Ripper is from 650 mm, 850 mm and 1050 mm. The shank is manufactured out of 30mm hard-wearing steel and is fitted with a special hard wearing tip with tungsten carbide infused onto the tip. The shank is also fitted with a shin wear plate to protect the shank from wearing. A special shank is available to fit adjustable wings for excellent aeration and loosening of compact layers. 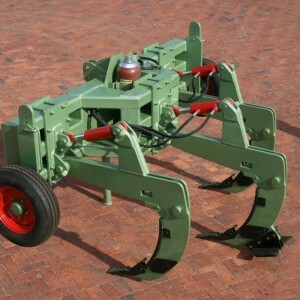 The Trailed Heavy Duty Erdvark Hydraulic Reset Ripper can handle tuff conditions from 20kN to 40kN. The robust Erdvark shank construction and hydraulic reset system plus the additional stretch bolt safety design, can handle all tuff and difficult ripping conditions. The working depth of the Erdvark HRRT Hydraulic Reset Ripper is from 650 mm, 850 mm and 1050 mm. The shank is manufactured out of 30mm hard-wearing steel and is fitted with a special hard wearing tip with additional tungsten carbide infused onto the tip. The shank is also fitted with a shin wear plate to protect the shank from wearing. A special shank is available to fit adjustable wings for excellent aeration and loosening of compact layers.